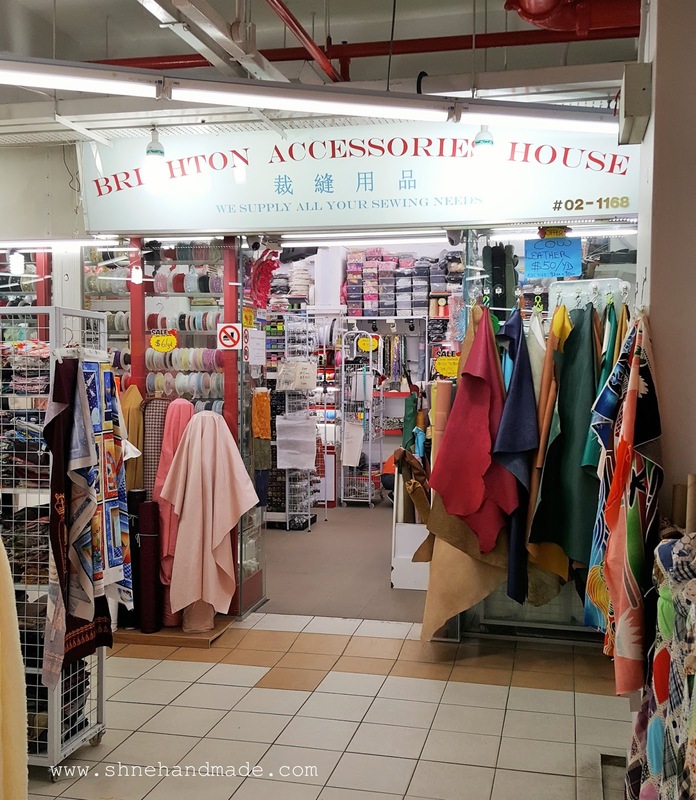 I have some friends who asked me about where to shop for fabrics and sewing supplies in Singapore, so I thought of sharing some useful information with you guys. There are a few places to get all the materials you need for your sewing project undertakings. Basically, the second floor of the building is full of textile stores. You can find all kind of fabrics at affordable prices. This store stocks gorgeous Japanese cotton fabrics and Sanrio fabrics (yes, Hello Kitty)! #02-1134, 32 New Market Rd, Singapore 050032. From variety of cotton fabrics, ribbons, lace, colorful beads to cow leather, there is almost nothing you can't find here. 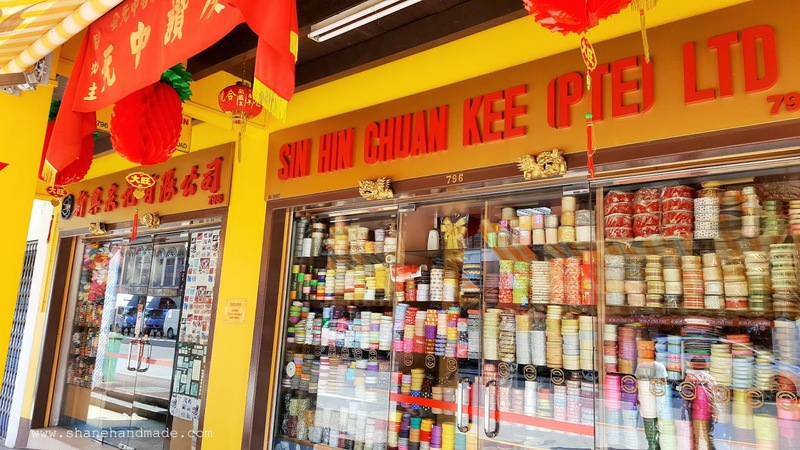 #02-1168, 32 New Market Rd, Singapore 050032. 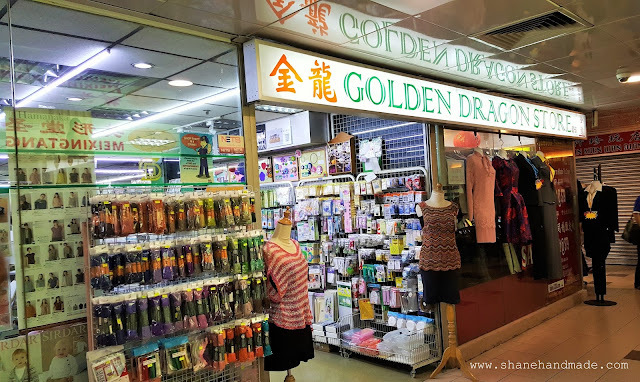 You will find great supplies for knitting, sewing or embroidery in this store. If you are looking for Clover products, this is the store you should visit. 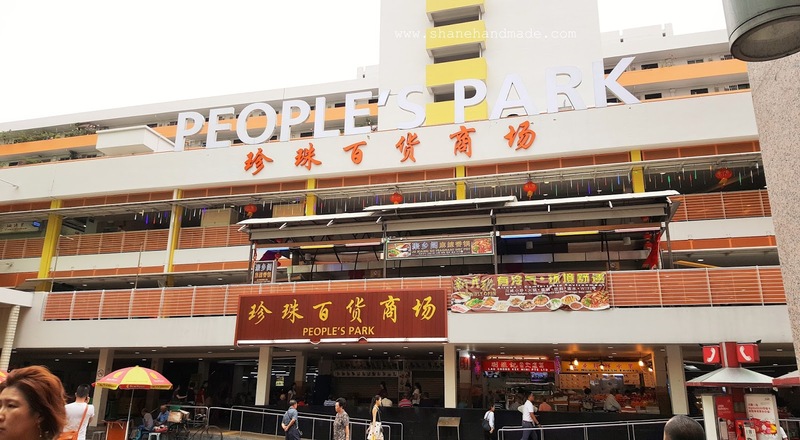 101 Upper Cross Street, #02-51 People's Park Centre, People's Park Centre, 058357. You will find great sewing supplies here too. They carry a lot of US cotton fabrics and accessories. Sometimes you will find cotton fabrics at bargain price (below $10 /yard)! 101, Upper Cross Street, #01-05 A, People’s Park Centre, Singapore 058357. Two rows of textile stores along the street. 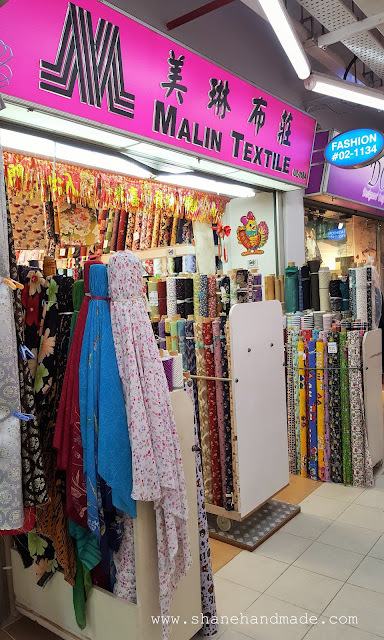 In general, you can find luxurious fabrics like silk satin, cotton lace fabrics, cotton fabrics, lycra jerseys and other unique fabrics at this place. You will find an exquisite selection of fabrics that suitable to make bridal gown or evening-wear too! 9am - 7pm, some are not open on Sundays. Bugis MRT (East West Line: EW12 / Down Town Line: DT14), take exit B, walk about 350m (about 5 minutes). Head northeast toward Ophir Road, turn right onto Arab Street. Mainly selling zippers, fancy ribbons and lace, sewing supplies & etc. #796 & #798 North Bridge Road, Singapore 198766. Walk about 400m (about 5 minutes) from Arab Street. Head southeast on Arab Street toward North Bridge Road (90m), turn left onto North Bridge Road (300m). Expect everything! 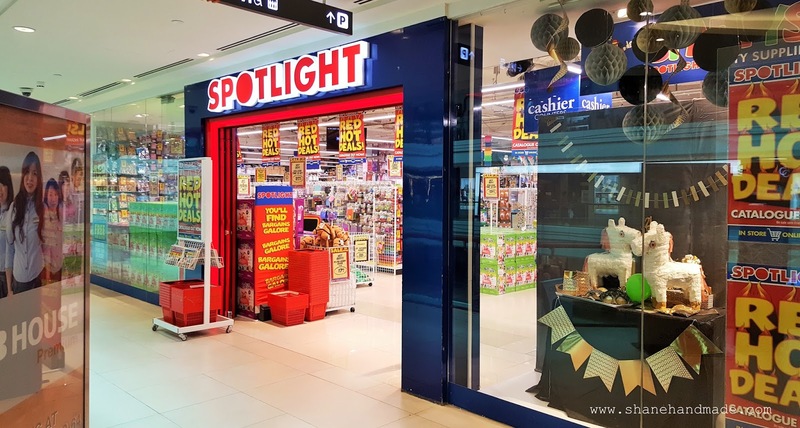 you can find variety of craft and sewing supplies in there. Level 5, Plaza Singapura, 68 Orchard Road, Singapore 238839. That's all for now. 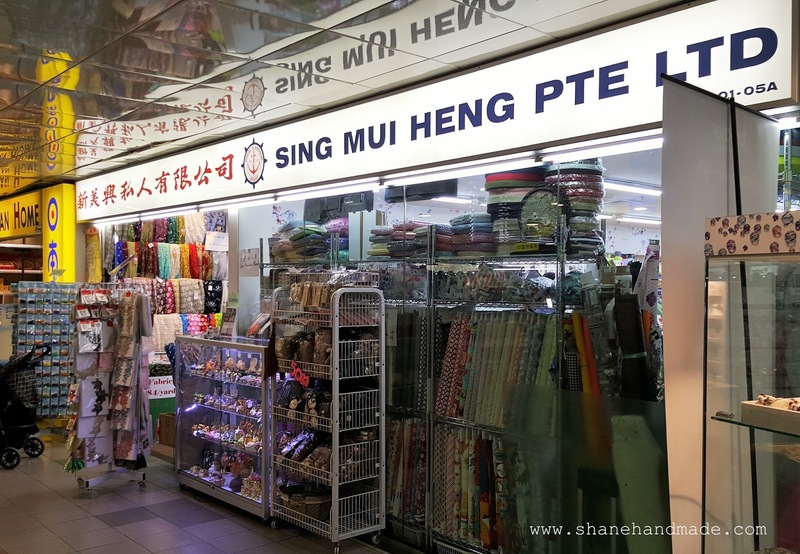 I hope you have a better idea of where to shop for fabrics/ sewing supplies in Singapore.